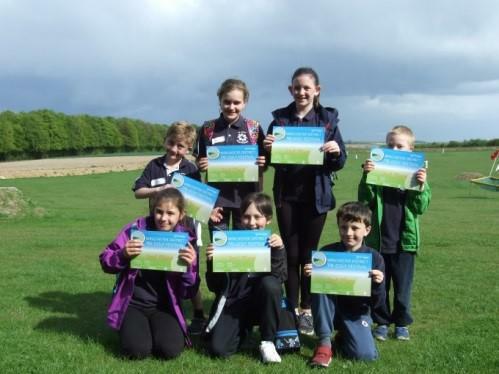 On Thursday 26th April, our golf team attended an exciting Tri Golf Tournament at Winchester Golf Academy. The children arrived very excited and raring to go! After a quick introductory talk, they were sent straight to their first station. Each station consisted of different activities that challenged their golf skills. The children needed to work together to score as many points as possible at each activity. The children were also able to score points for ‘life skills’ such as: teamwork, honesty, safety and communication throughout the day. The children were enthusiastic and keen to do their best on all stations. They encouraged and supported each other and it was a pleasure to see them all so keen to do well and celebrate each other’s successes. Some of the stations were incredibly exciting and nail-biting, with time quickly running out the children were working so hard to get as many points as possible. We were incredibly proud of the way the children represented the school and we were also very excited to be awarded 2nd place in the tournament. Well done!